Additional information Calm, friendly and lovely. Loves to be with human. Isn’t afraid of clipping, shoeing, washing or vet checking. 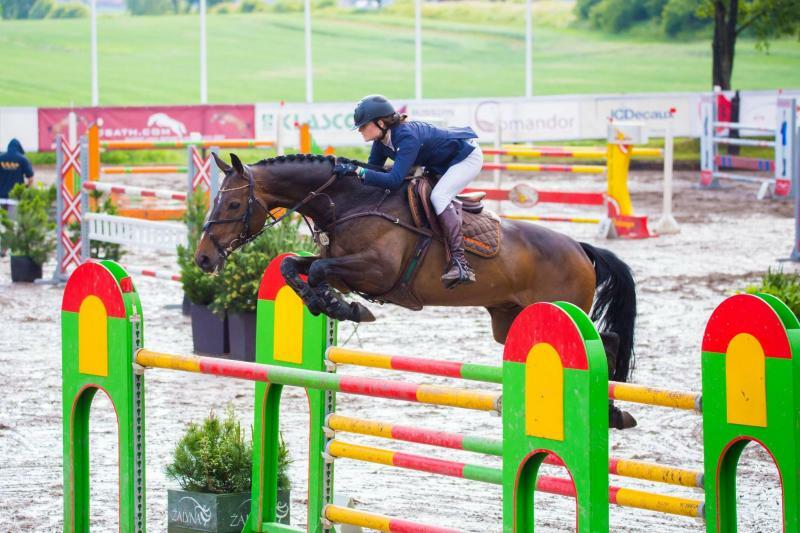 Riding: at home jumps up to 150cm, at competition experience up to 145cm. Suitable for strong junior or pro rider. Unique gallop style allows him to jump long jumps where others would fail. As well he is careful horse with scoop and speed. Definitely winner in many classes and he is fun to work with.